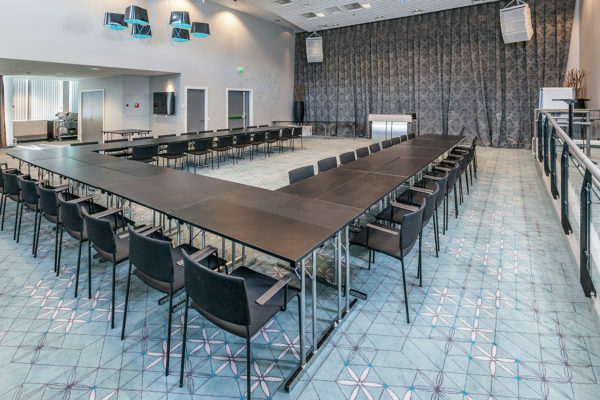 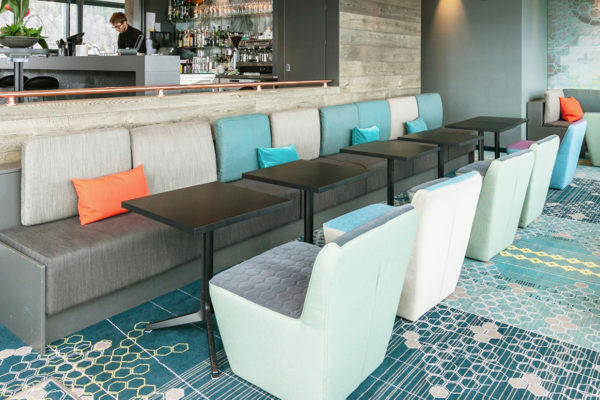 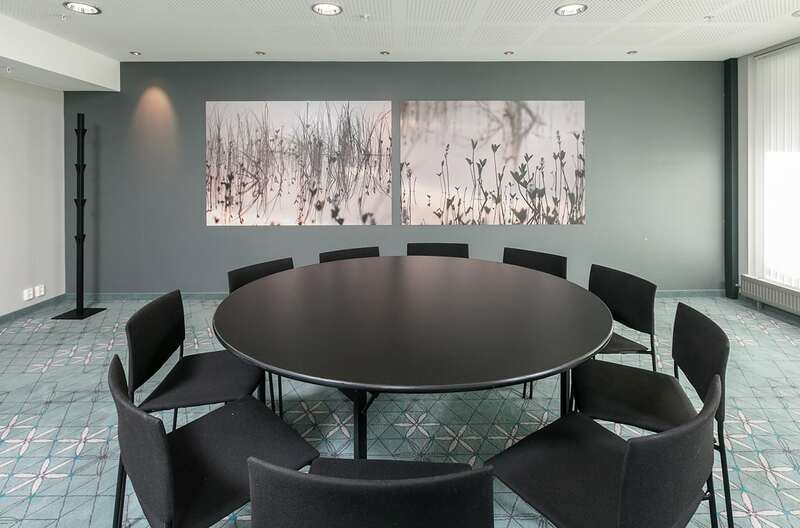 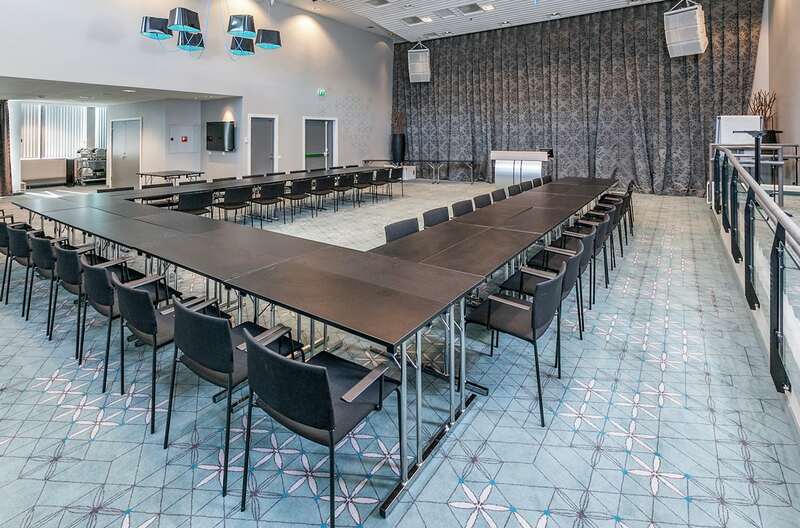 SCANDIC Hotel Narvik has a cool, Nordic look and the custom designed Colortec carpets play a crucial role in the entire expression of the hotel interior. 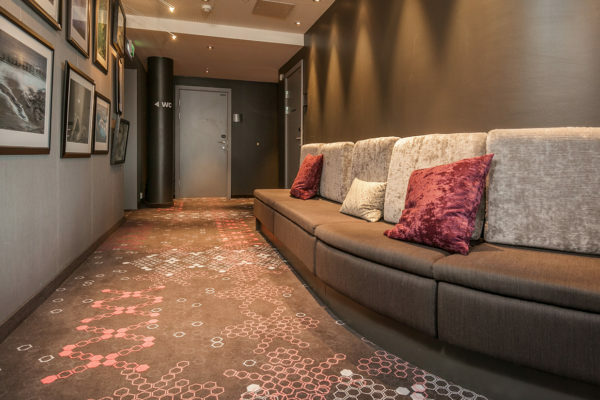 The carpets in the SCANDIC Hotel Narvik play a crucial role in the entire expression of the hotel interior. Dansk Wilton has delivered custom designed Colortec carpets and area rugs in a demanding, yet fascinating project. 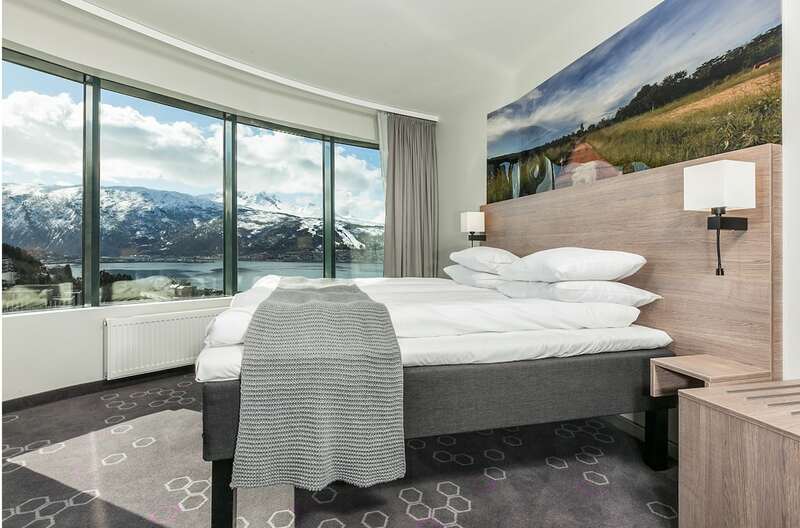 SCANDIC Hotel Narvik (former RICA Hotel) is Northern Norway’s highest building with 18 floors giving the hotel a wonderful view of the city, the fjord “Ofotfjorden” and the mountains. The hotel is in a central part of town emphasizing the importance to embrace history. 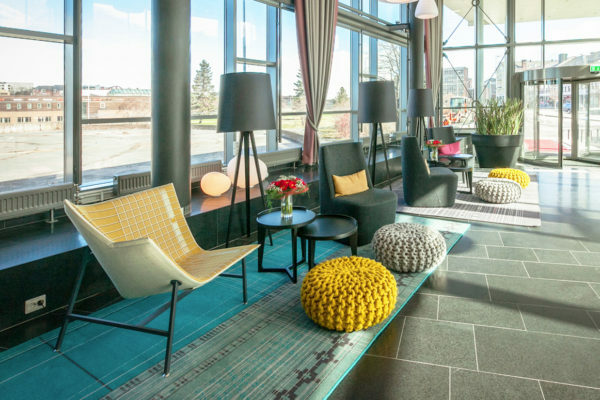 The interior of SCANDIC Hotel Narvik has a modern look that plays on the local elements found in Narvik. Inspiration is drawn from nature with a neutral base colour and bright colour accents combined with wood. 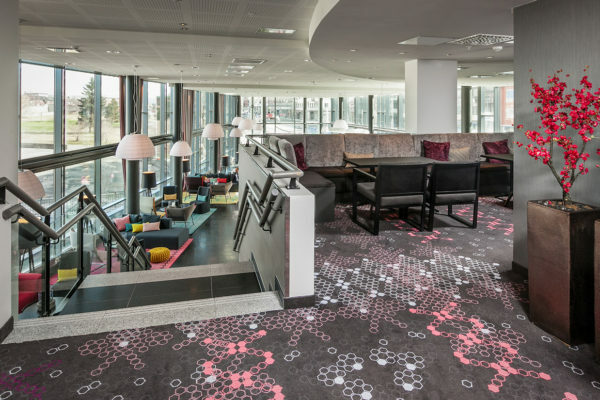 Large graphic patterns in vibrant colour combinations in both carpets and wall patterns against the wooden look, “breaks up” the tight style of the exterior of the building, creating a calm, warm and colourful atmosphere inside. 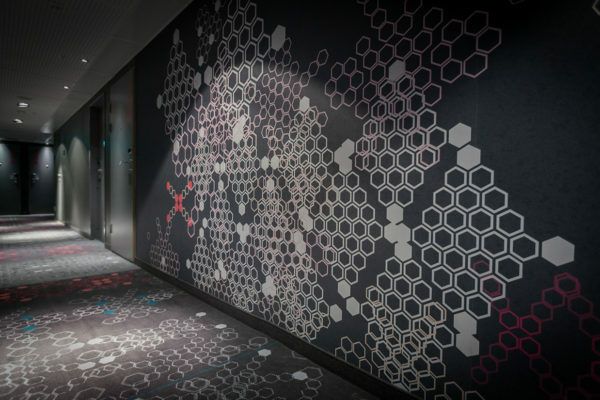 Custom designed Colortec carpets and area rugs for rooms, corridors, meeting rooms, bar, lounge and restaurant.